NES Total Wellness System - What If? Who is a good candidate for EEG Biofeedback? How long does training normally take? Why does this training work? Is EEG biofeedback covered by insurance? How much does an EEG biofeedback session cost? What can I tell my doctor about EEG Biofeedback? "With the power of ancient knowledge, advanced technology, change will occur, personal empowerment is realized, and healing oneself will be achieved." Is it called EEG biofeedback or neurofeedback? Neurofeedback is used synonymously with EEG biofeedback; however, neurofeedback and neurotherapy are broader terms. 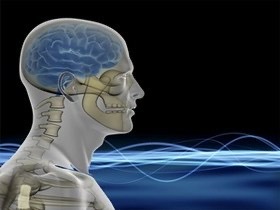 Neurofeedback refers to any type of brain biofeedback including: HEG (blood flow), fMRI and MEG (electromagnetic waves). EEG biofeedback refers to brainwave biofeedback. EEG(electroencephlography) is the recording of brainwave activity. However, people use the term neurofeedback or neurotherapy interchangeably with EEG biofeedback. How does my brain learn by watching images? Just as your brain makes sense of information being fed to it from gravity, it makes sense of the information being conveyed to it by the software. The brain is an organ that processes substantially more information than your mind could handle. Your mind cannot even see, hear, smell, taste or consciously feel earth's gravitational pull, yet your brain is constantly sending neural commands to muscles according to feedback it receives from gravity. Even though your mind wants to understand and even participate in your neurofeedback session, it is your brain that we are training. Can the brain rewire itself? In the past neuroscience viewed the human brain as a machine; if a function stopped working properly, then that function was permanently gone. It was believed that the human adult brain was incapable of fundamental change, hence, the proverb, “You can’t teach an old dog new tricks”. 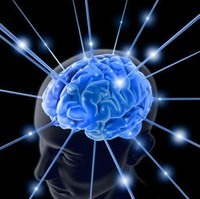 Now there is a growing body of research demonstrating that the brain can indeed rewire itself. Scientists have defined this phenomenon as neuroplasticity, also referred to as brain plasticity or brain malleability. These terms refer to the brain’s ability to reorganize itself by building new neural connections. In other words, our brains are constantly changing in structure and function even as as we age. Brain self-organization takes place with a few biological mechanisms. One of these mechanisms is called axonal sprouting. This is when healthy brain cells grow new nerve endings in order to compensate for damage. These new nerve endings serve to reconnect injured neurons forming new neural pathways to accomplish a needed function. For example, after a brain injury the unscathed parts of the brain may compensate for the functionality lost by the injured parts of the cortex. In order to reconnect, the neurons need to be stimulated and relearn functionality through activity. Another biological mechanism involved in brain plasticity is called self-regulation. Every organ, including the brain, is wired for homeostasis. Homeostasis is the ability of an organism to self-regulate by adjusting its physiological processes. The purpose of this is to maintain internal equilibrium. The brain is continually sensing and responding to the needs of our bodies. For example, it is constantly monitoring our levels of oxygen and blood sugar levels. If the brain senses that something is wrong, then our stress-response system sounds an alarm to help the body get what it needs. Some of this regulation requires our participation (such as drinking water if we sense we are thirsty), but much of this regulation takes place automatically beyond our awareness. One way to rewire the brain is with EEG biofeedback. EEG biofeedback, via software, gives the brain a way to see itself in action. The brain then learns how to better self-regulate its states of thoughts, feelings and arousal levels. EEG niofeedback works as if the computer screen is a mirror for the brain; it magnifies areas that are not working as efficiently as they could, and trains the brain to operate more effectively. The brain then reorganizes itself by forming new neural pathways or activating unused ones as it expands functionality. As with all abilities we develop, the gains made with EEG biofeedback are typically permanent. Everyone is unique and brains are no different. Generally people notice changes within the first 5-8 sessions, this does not mean, however that you are finished. To achieve your goals and for longer lasting results 20-40 sessions may be necessary to achieve the desired result. Children under the age of puberty typically get faster results and need fewer sessions. All sessions depend on the individual.